Our staff Rooter Guard plumbing is proud to employ the most talented and qualified plumbing technicians in the industry.We are dedicated to provide professional service around Los Angeles County. 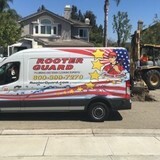 Rooter Guard plumbing service available 24/7 emergency plumbing and drain cleaning in Los Angeles and surrounding areas.Rooter Guard provide residential, commercial and industrial plumbing and drain service.Rooter Guard is dedicated to providing outstanding customer service and satisfaction. We are thankful to the customers, clients, vendors and employees who have helped make Rooter Guard a success. 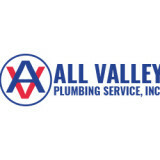 We at All Valley Plumbing Service stand out in the industry for our quality work in Mission Hills, California. Since 1963, we've made it a point to offer integrity and honesty with each job that we work on. As a family-owned and -operated company, we also make it a priority to offer personalized service to ensure that each customer feels valued. Our professional plumbers are trained and experienced in providing a variety of services, including major repairs, replacements and installations. We also offer drain cleaning, plumbing fixture installation, in-line video inspection, electronic leak detection, sewer repair and pipe cleaning, complete copper re-piping and rooter service. Our team works efficiently to ensure that each job is completed quickly, and we won't cut any corners. 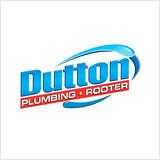 We make it a point to meet each of our customer's needs, which is why they continue to return for our plumbing services for their home or business. We also offer our services in locations that include North Hills, West Hills, Pacoima, Panorama City, Shadow Hills, Lakeview Terrace, Lake Balboa, Granada Hills, Reseda, Porter Ranch, Van Nuys, North Hollywood, San Fernando and Northridge. The plumbers at All Valley Plumbing Service are licensed, and we ensure that the job is completed properly the first time. We also maintain a clean and tidy environment with every job we do. Richards Rooter and Plumbing is servicing Los Angeles County for more than 23 years and we offer a broad range of plumbing sewer and drain cleaning in Los Angeles. With so many years of experience under our belt, we know what dedication, skills, and customer service mean for our customers and that's why we are offering 24-hour emergency plumbers in Los Angeles. Richards Rooter and Plumbing is a licensed plumbing contractor in Los Angeles California for commercial and residential plumbing services provider. Offering a broad range of emergency and non-emergency sewer cleaning, drain cleaning and plumbers in Los Angeles. When you need Gas Leak Detection, plumbing contractor, drain cleaning, plumbing services, and water heater repair or just need a plumber in Los Angeles at Richards Rooter and Plumbing is just one phone call away. We've been the #1 choice for emergency plumbers in Newbury Park, California, for over 25 years. Our team of licensed and insured emergency plumbers are on call around the clock, ready to help you resolved your problems fast and affordably. Call seven days a week for same day appointments. We can even be at your home or office in 60 minutes or less, ready to tackle even the most complex repairs. Services include drain cleaning, water heater repair services, trenchless sewer line service and repair, electronic leak detection, and more. Next time you have a problem, call William Lynch and the team at My Newbury Park Plumber Hero – we'll come to your rescue! Our local Los Angeles plumber at Rocket Plumbing has the experience and knowledge to handle any job. We even have our own emergency team on stand-by, for your convenience. If you're in need of a plumber in the West Los Angeles area, call today! Coverage Area: Beverly Hills, Brentwood, Culver City, Downtown Los Angeles, West Los Angeles, Manhattan Beach, Pacific Palisades, West Hollywood, Century City, Via De La Plaz, Westgate, Westwood, Bel Air, Beverly Woods We specialize in 'SAME DAY' plumbing service. We can clear any drain, replace garbage disposals, repair and replace water heaters, repair toilets, leaks, sump pumps, ejector pumps. Whether you own commercial property or are a residential homeowner, you'll need a professional Los Angeles Plumber from time to time. As experienced Los Angeles Plumbers, the professionals at Express Plumbing & Remodeling are fully licensed to handle all your plumbing needs as well as provide you with quality bathroom and kitchen remodeling. Fully equipped with tools utilizing the latest methods and technologies in leak detection, sewer line problems, clog removal, and drain cleaning, our professional plumbers are able to perform your repairs effectively and efficiently, saving you money on labor costs and project time. Our commercial customers love us as well because our plumbing solutions offer them ways to cut cost and time. With the right tools for the industry, we make quick work of finding and repairing plumbing problems using no dig pipe repairs. We welcome all plumbing and bathroom and kitchen remodeling projects; we'll work hard to give you complete satisfaction. For your emergency needs, we'll provide you with fast response and expert service every step of the way! No Clogg Plumbing has provided service in Pasadena and the San Gabriel Valley since 1996 and grew out of the need for specialized drain cleaning. With a reputation for professional standards and quality workmanship, we have provided our clients with a single authority for all drainage problems. When you invite NO CLOGG Plumbing into your home, you will encounter expertly trained plumbing technicians, who are trained to deliver a tailored and unique service experience. Finding a Plumber can sometimes be a stressful task. You need to find a plumber quickly, but you don’t want to call just anyone to do your plumbing. After all, your home is priceless and it needs to be treated as such. At No Clogg Plumbing we can guarantee that… We will treat you and your home with respect. We have a commitment to integrity. We are Knowledgeable, caring plumbers. We don’t leave a mess when we have finished a job. You will get Fair and competitive pricing. We offer 100% customer satisfaction guarantee. If you are not completely happy with your service call, we will come back and fix it the way you want at absolutely no charge!!! We take our Rooter services very seriously, so we use nothing but the best tools to fix your plumbing problems. Power Snake – Unclogs Drains Fast! You’ll be washing, rinsing, and flushing again in no time! Power Cam – A sewer inspection is a simple procedure that entails pushing a miniature video camera throughout the sewer system. 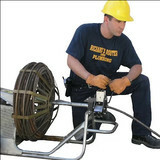 Power Clean – A hose is propelled by water into the sewer line under tremendous pressure. As the hose returns, the sewer line is cleaned by powerful forward and reverse jets of water. The Pipe Pull method uses the existing damaged sewer line as a conduit and guide for the new pipe. A cone shaped, path clearing installation head with the new pipe attached is inserted through the old pipe. As the installation head passes through the existing pipe, it actually pulls in a full size replacement pipe. Long Beach Shop 4 house is a water damage company providing professional services in the areas of water damage, mold remediation and fire damage. Our water damage restoration services will help you get your home back in original condition due to flooding by natural disaster or because of unforeseen pipe bursts. Our water damage experts are here to help we serve the Los Angeles county. When it comes to Leak Detection, Heating and Drainage, no one compares to APK Plumbing Inc.. With years of combined experience, APK Plumbing Inc. has worked hard to build the trust of our clients in Baldwin Park, Arcadia and San Gabriel Valley and beyond. Visit our website to learn more. Or better yet, click the link and call us today! Get more for your money when you call My Moorpark Plumber Hero! 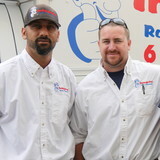 Our team of emergency plumbers is ready and waiting to take your call. We are the proven leader for low prices and quality service in Moorpark, California. No matter how complex the job, we'll get it done fast, and we'll get it done right. Our services include trenchless sewer line service, water heater repair service, drain cleaning, leak detection, and more. Don't wait on the other guy, our local contractors will be at your door in 60 minutes or less to quickly resolve your plumbing emergency. Call Garry Randolph and his team of experts for same day appointments, seven days a week.